MAST has been participating as an American Astronomical Society exhibitor for several years now. You will find us again at the MAST table in the STScI booth at the upcoming AAS 2017 Winter meeting, in Grapevine, TX from January 3-7. Our main focus for attendance is to educate the astronomical community on the MAST archive, its data holdings, and search interfaces. We accomplish this mostly by giving live demonstrations on how to use our interfaces to search, analyze, and download data. In recent years we have been showcasing our MAST Discovery Portal. We will be demonstrating several new features of the Portal. Our offerings are not solely interface focused. We also have updated materials on new data products and the archive, in general. In the past, there have been a variety of people visiting our table. We meet undergraduate students just starting out in astronomy who are interested in all of the ways we search data. We also get all levels of educational professionals coming to the booth, where we provide them with resources and teaching ideas for the classroom. And of course we meet with seasoned astronomers who have specific questions about their particular research projects. Interacting with AAS attendees at the booth has been a great opportunity to meet our community, and we hope you will visit us if you are attending the AAS this winter or at future meetings! Both image and catalog data for the wide-field, five band imaging survey were released to the astronomical community on December 19th, 2016. 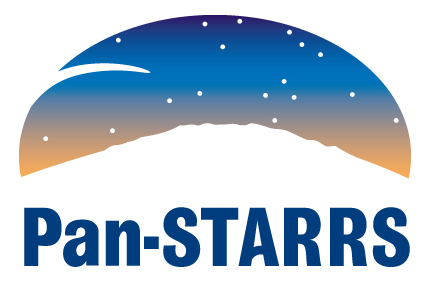 The first data release from the Pan-STARRS (Panoramic Survey Telescope and Rapid Response System) survey was released to the astronomical community on December 19th, 2016 and is available from the MAST archives. Pan-STARRS1 (PS1) is the first part of Pan-STARRS to be completed and is the basis for Data Release 1 (DR1). The PS1 archive includes images and catalogs from several defined surveys, including observations of three quarters of the sky ("3PI Survey," which is available in DR1) carried out several times per filter and over a four-year time span. In addition, there were nightly observations of ten smaller fields distributed across the sky (the "Medium Deep Survey," not part of DR1). The PS1 archive includes a simple image search form for retrieving image cutouts and full images and a catalog search form to search the catalogs for objects near a sky position. A CasJobs SQL interface allows expert users to craft more sophisticated queries. Deep, co-added stack images made from the multiple exposures taken over the survey. Stacks provide the best signal-to-noise images. The source catalogs created from the stacks are recommended as a starting point for data analysis. Point-source and extended-object photometry measured from the stack images is included in the DR1 catalog database. See the PS1 source extraction and catalogs page for details. Mean values of the point-source and extended-object photometry from the single-epoch "warp" images are also available in DR1. The DR2 data release (planned for Summer 2017) will also include the warp images along with multi-epoch photometry for point sources and extended objects. The DR2 source database will allow users to extract information on time variations in source photometry and astrometry. The DR1 catalog astrometry and photometry are well calibrated. Median astrometric errors for brighter sources (18–19 mag) compared with Gaia are only 5 milliarcsec. (The astrometric calibration is based on the Gaia reference frame.) Systematic photometric errors are about 7 millimag. To obtain help using the archive, please check the PS1 Frequently Asked Questions page or email the MAST Helpdesk at archive@stsci.edu. Also, post any questions for the community on our MAST Pan-STARRS Forum. A catalog of physical properties of 700,000 SDSS galaxies -- including stellar masses; dust attenuations; and star formation rates -- is now hosted at MAST. 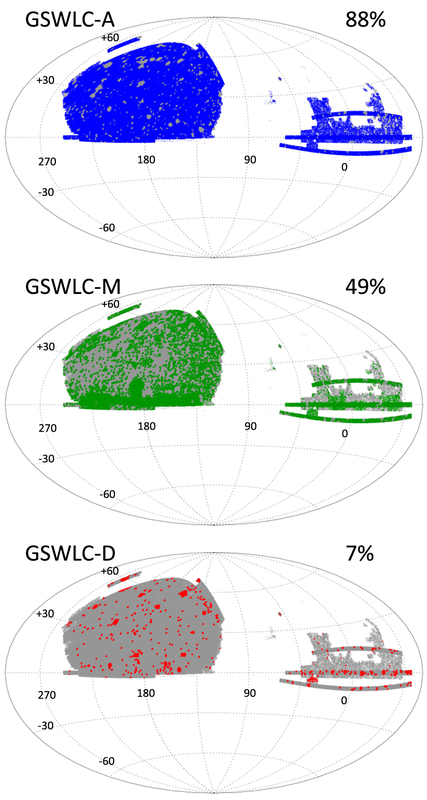 Figure 1: Spatial distribution of GSWLC galaxies. The GSWLC catalog data are available for direct download from the GSWLC homepage (in either ASCII or FITS format). In addition, the catalogs are available using STScI’s instance of CasJobs, allowing users to query on objects of interest, perform sub-selections of galaxies, or cross-match with other STScI catalogs. Questions about the GSWLC can be emailed to the Archive Helpdesk at archive@stsci.edu or posted on the MAST Forum.